Just when you thought all the joy was being sucked out of life, Light the Night is here to bring the fun back. 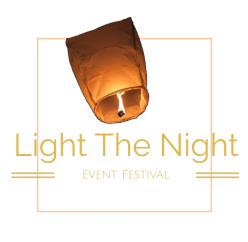 Watch the night sky glow after jamming to live music, capturing your Foodie posts for Instagram with the food vendors, snagging cool merch, and enjoying all the available activities with your friends and family, you’ll release lanterns full of dreams, goals and wishes into the universe. Warm attire in caser its chilly out, or buy our merchandise. Additional parking information will be sent out one week before the event.